The crowd-funding initiative, on gofundme.com, titled Zimbabwe Defend Vote Legal Costs, is targeting to raise R1.8 million. Zimbabweans based in the United Kingdom and South Africa on Tuesday, launched an online campaign to raise funds to support losing presidential candidate Nelson Chamisa’s legal costs potentially reaching R42.6 million. The development comes at a time it has emerged that a former party employee is moving to attach property over R3.7 million debt. 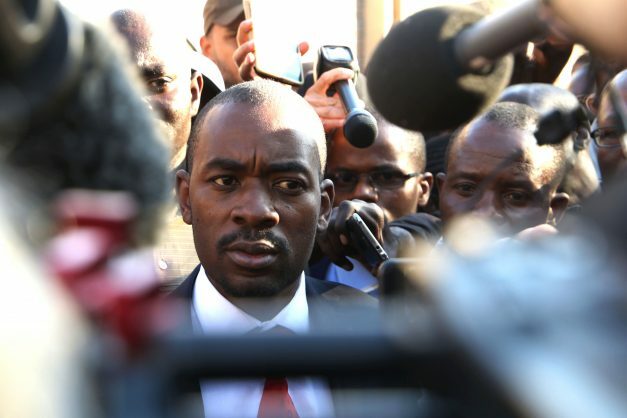 Chamisa took the Zimbabwe Electoral Commission (ZEC) declaration of Zanu PF leader and incumbent President Emmerson Mnangagwa as the winner of the July 30 presidential polls to the Constitutional Court. However, the opposition leader’s bid to overturn the election results was unsuccessful as the apex court, led by Chief Justice Luke Malaba, dismissed his petition with costs. So far R110 000 has been donated. “Against overwhelming public opinion amongst Zimbabweans at home and abroad; the judgement handed by the Zimbabwe Constitutional Court went against the Nelson Chamisa,” reads a message on the campaign platform. “Worse still, it carried a punitive condition requiring Nelson Chamisa to foot the legal costs of everyone involved. The funds required are needed as soon as possible”. The campaign urged Zimbabweans to: “give generously, to fight this cynical ploy to silence a critical voice defending human rights, democracy and change in Zimbabwe”. Zimbabweans back home also have an opportunity to support the cause. “You can make a donation by card on this page or send your donation to Ecocash merchant Code 204861 (registered as NC Trust). Every little dollar helps,” the campaign reads. “Let’s stand together because the journey to change requires each and every one of us to play a part”.